Xtreme Clean is awesome. One way it is awesome is the D’Limonine in it reacts with the glue used in a number of adhesives and loosens it, enabling the easy removal. This gives Xtreme Clean excellent uses in the removal of adhesives. It does this for the adhesive in sellotape and also the adhesive in children’s stickers. These children’s stickers can be the bane of a parent’s existence. Children put them on all sorts of places that you don’t expect. I moved a bed the other month, and carefully all down the wooden side of the frame that faced the wall were a number of these stickers. Often the removal of these stickers can damage the underlying surface by ripping wallpaper, chipping veneers, and pulling protective surfaces. 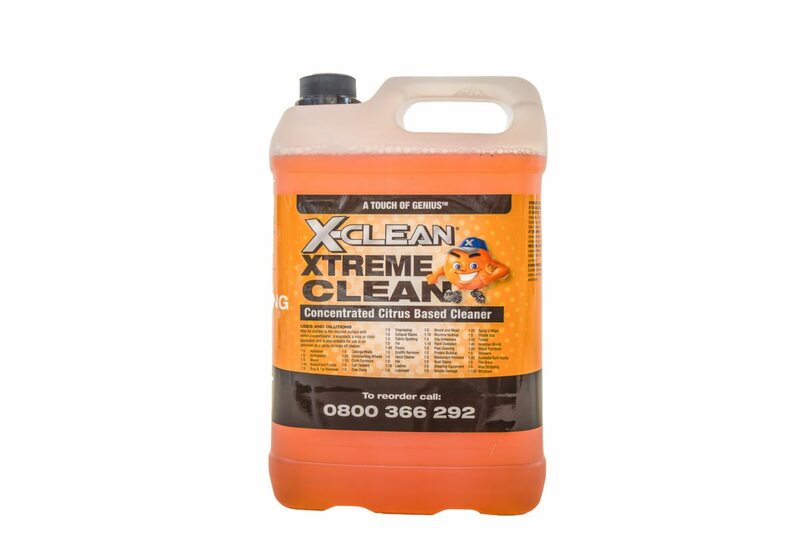 Xtreme Clean has an easy answer. Make up a mix of Xtreme Clean at 1:5 (one part Xtreme Clean and five parts water) and spray it over the stickers. Give the entire area a saturating spray. You want to spray the Xtreme Clean so that it soaks right through the front of the sticker (which is usually some form of paper) and soaks through this front part to reach the adhesive at the back. Let it sit saturated for 5-10 minutes. Using an edge (a credit card makes an excellent edge, as does a plastic scraper, you don’t need a sharp point, what you want is a nice flat surface of suitable length) scrape at the sticker, and it should all roll off. If it is still stubborn apply a minute of heat with a hairdryer. The sticker will come off, as will the adhesive residue leaving you a lovely clean surface. This entry was posted in Tips, Xtreme Clean and tagged Adhesive Residue, Xtreme Clean.